The Boston Symphony Orchestra’s new music director, 34-year-old Latvian conductor Andris Nelsons, does not have a slew of recordings from which to speculate about his BSO future. This new one of Antonín Dvorák's beloved “New World” Symphony No. 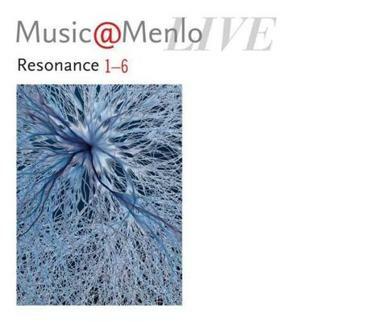 9 with the Bavarian Radio Symphony Orchestra (on the BRSO's house label) suggests that, at least where the classics are concerned, he’ll be thinking outside the box. 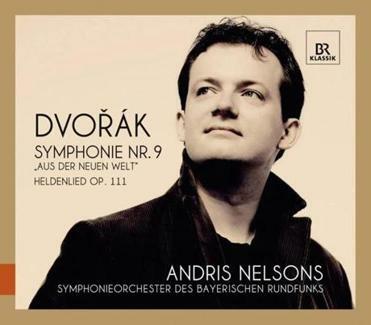 There’s nothing ear-catching about Nelsons's tempos in the symphony. The Scherzo, at 7:17, is on the quick side, but it is marked “Molto vivace,” and the reading is headlong rather than driven. His Largo, at 12:41, matches Václav Talich's legendary Czech Philharmonic Orchestra recording to the second. No, it’s the approach that’s novel. The orchestra has the same clean, un-string-heavy sound it did back when Rafael Kubelík conducted it; everything seems fresh and bright, particularly the woodwinds. Rhythms are crisp but not folky; phrasing is firm and unsentimental; detail abounds. Second themes don’t languish, but they’re often very delicate. And there are innumerable surprises, like the grandeur of the Largo’s climax, or the freedom with which the solo clarinet introduces the second subject of the Allegro con fuoco finale. This Ninth makes you listen and rethink — a good thing in a symphony that has a lot more going on than just a bunch of pretty melodies. The companion piece is the composer’s fifth and last symphonic poem, “A Hero’s Song,” which Gustav Mahler premiered with the Vienna Philharmonic in 1898. A mini-symphony in four continuous movements, it might have benefited from some kind of program, but from the march in polo-naise rhythm to the trumpets’ grandstand finish, it’s an unexpected treat. Most of the rest of the space goes to deserving yet underplayed works by famous composers (Mendelssohn's “Allegro Brillant” for four-hand piano, Debussy's “Six épigraphes antiques,” Sibelius's “Voces Intimae” string quartet); rarities (Bernard Herrmann's “Psycho Suite” for strings and “Conte Fantastique” by the early-20th-century French composer André Caplet); and arrangements of works usually heard in a symphonic setting (Copland's “Appalachian Spring” and the last movement of Mahler's Fourth Symphony). Everything is played with a combination of freshness and polish. Among the many exceptional performances, one standout is Schubert's Six German Dances, D. 820, played with an irresistible lilt by pianist Gilbert Kalish. Among Igor Stravinsky's numerous talents, the man could also write a hell of a record review. 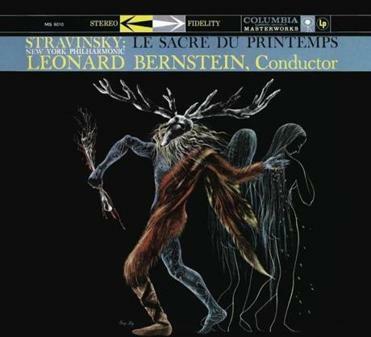 His reported reaction on hearing this breathtaking 1958 version of his epoch-making “Rite of Spring” was: “Wow.” Seldom has a recording been imprinted with such authoritative, spontaneous praise. It’s not hard to figure out the reason for his enthusiasm. Bernstein unlocked the score’s volcanic energy like no one had previously. He skimps somewhat on the music’s atmospherics — everything seems to happen between mezzo-forte and triple forte — and the Philharmonic’s execution isn’t always clean, but the sheer tension and fury that emerge, and the rhythmic acuity with which Bernstein conducts and the Philharmonic plays, must have been shocking at the time. Fifty-five years later, it’s still exciting. All of which makes it puzzling why Columbia, and its successor, Sony, have made it so difficult to track this version down for so long. Neither of the two recordings he made later — with the London Symphony Orchestra in 1972 and the Israel Philharmonic in 1982 — come close to measuring up. Finally, a century after the Rite’s premiere, it’s been returned to circulation, and Sony has remastered the recording from the original tapes. In doing so, they’ve opened up the previously constricted sound and exposed the wealth of detail Bernstein elicited, especially in the two frantic dances that close each part of the “Rite.” No one who really prizes this score can live with just one recording, but this one deserves a place on anyone’s short list.D.W. There have been plenty of Shosta-kovich quartet cycles, but the Pacifica Quartet’s has been especially valuable, not only for the group’s insightful performances but for the addition of works by the composer’s contemporaries. The third volume in the survey finds the group tackling Quartets 9-12, which form a period of transition almost without parallel in Shostako-vich's career. From the relatively conventional Ninth Quartet — somewhat similar in design to the Eighth, the composer’s most popular work of chamber music — the tone grows more quizzical and uneasy in the Tenth. The brief Eleventh Quartet features a series of discontinuous character studies, with few internal connections among them. But it’s in Quartet No. 12 that you can hear the composer’s voice begin to fragment. An elegiac opening is followed by a bewildering 20-minute essay in broken motifs, eerie sounds, and unstable tonality, with an oddly loud and affirmative ending. Thus did Shostakovich pave the way for the gloom of his final creative years. 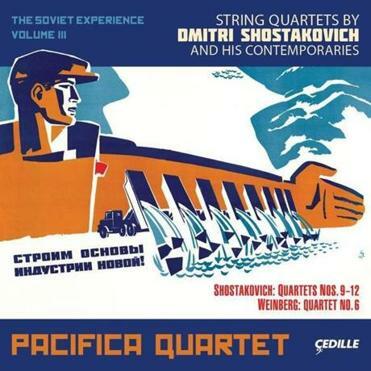 The Pacifica brilliantly captures all the unnerving aspects of this music. In fact, their grasp of the music seems to grow more confident the more challenging the music becomes; I’ve never heard a more complete grasp of the Twelfth Quartet in particular. The companion piece in this set is the Sixth Quartet of Polish-born composer Mieczslaw Weinberg, composed in 1946 but suppressed by Stalin. It was not published until 1979, and what is thought to be its first performance took place just six years ago. The liner notes suggest that Shosta-kovich's structural experiments came in large part thanks to his encounter with Weinberg's music. And while nothing in Weinberg's quartet is as radical, timbrally or harmonically, as these Shostakovich quartets, its emotional volatility and craftsmanship link the two composers together. It’s a fascinating piece and a superb choice for this series, and the Pacifica’s performance is as masterful as in the Shostakovich.D.W. 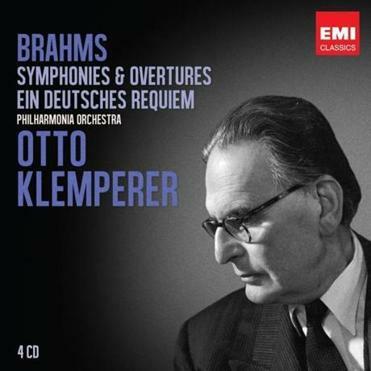 Tough, craggy, indomitable — that was Otto Klemperer, in both appearance and musical spirit. He was a giant of 20th-century conducting, and nowhere was his style more effective than in the music of Brahms, a composer for whom he had deep reverence, and his symphony cycle with London’s Philharmonia Orchestra is a pinnacle of Brahms interpretation. You can hear his granitic style at its apex in the overwhelming First Symphony, a recording never bettered, or in the inexorability with which he sculpts the Fourth Symphony. But Klemperer was never a one-dimensional conductor, and his reputation for sluggish tempos is belied by the lyricism and driving momentum of the Second and Third Symphonies. He is, if anything, even more profound in the vocal and choral works, now gathered together with the symphonies for the first time. His reading of the German Requiem — with Elisabeth Schwarzkopf, Dietrich Fischer-Dieskau, and the Philharmonia's outstanding chorus — was the first to faithfully capture its spiritual dimensions. Perhaps most impressive in the whole set is the Alto Rhapsody, where Klemperer and alto Christa Ludwig unlock a deep sense of loneliness that lay in the heart of both conductor and composer. This is a wonderful collection. I am tempted to say that no music lover should be without it.